Metallic Silver, Metallic Gold or Assorted. 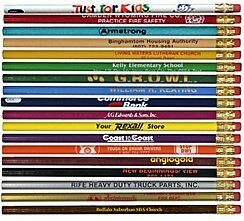 Assorted pencils specify a light or dark assortment. Imprint color must remain constant throughout the run.